Represented landlords including institutional owners in lease negotiations for industrial spaces throughout the country ranging from approximately 5,000 to 400,000 square feet. Represented landlords including institutional owners in complex retail lease transactions with local, regional and national retailers. Represented landlords, institutional owners and tenants in lease negotiations for office space, including satellite and primary office locations throughout the country. Represented lending institutions in connection with term loans, construction loans (syndicated and non-syndicated) and loan modifications ranging from approximately $2 million to $50 million. Represented a national wireless infrastructure provider in acquiring and leasing numerous telecommunications sites throughout the Midwestern United States. 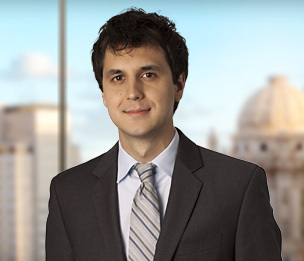 Prior to joining the firm, Mr. Raczkowski practiced commercial litigation and creditor-side bankruptcy litigation at a private law firm in Chicago, Illinois. Mr. Raczkowski began his legal career with Dykema in the Real Estate Department.